Sherlock Escape Room Announced | Nerd Much? Time Run, one of the leaders in the escape room industry, has teamed up with BBC to deliver us an event unlike any other. 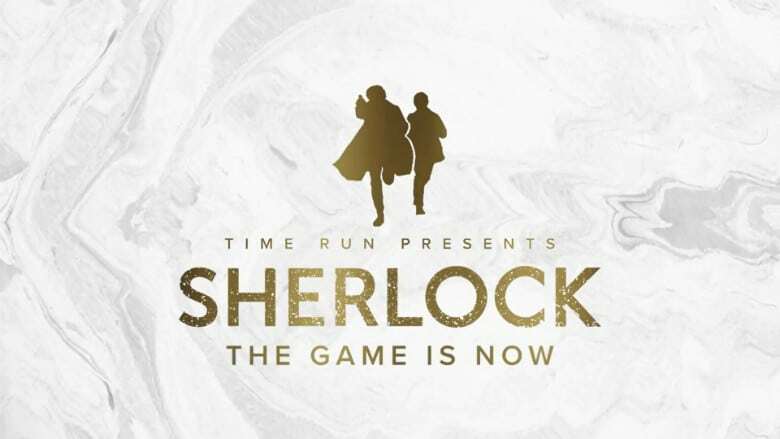 Sherlock: The Game is Now is a Sherlock escape room poised to deliver a one of a kind experience for the fans of the hit series. As you can see above, Time Run utilized the character of Mycroft Holmes (Sherlock’s older brother) to bring you into the world of the titular character. Holmes is actually portrayed by Mark Gatiss. Gatiss, as well as Steven Moffat, are the creator’s of the BBC series and have written the plot of the upcoming escape room experience themselves. The Game is Now experience will launch in London in October 2018. The plan is to then launch the experience globally following that. The events will last roughly 90 to 100 minutes each and can be done within groups of 4 to 6 people across 3 to 5 rooms simultaneously. The location is top secret at this point with Time Run only specifying that it will occur in the heart of London. Pricing for the London event will run £54 per person ($72). If you arrive late to the event you will miss your timeslot and will not be issued a refund. If you’re interested in signing up, you can head here for details and ticketing.